No Risk! 100% Money Back Guarantee! Maxx Reviews™ is a turnkey customer review collection and reputation management software that will help you do more business and save more time by providing a simple, yet powerful automated solution for businesses of any size to generate more 5-star reviews online. 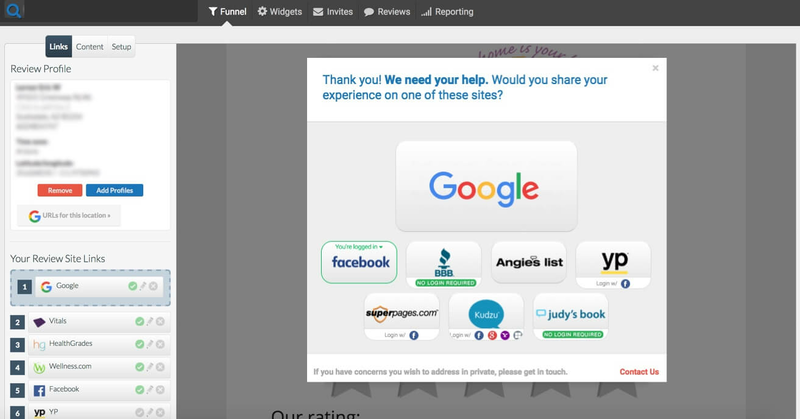 Start collecting reviews anywhere… All you have to do is add your review widget to your email signatures, to your ‘thank you’ pages or send direct email campaigns to your customer or client list. When someone clicks to leave your business a review, they are prompted to share on the review sites that matter most to your business! There are many different review sites out there – and you may be looking to boost reviews on any number of them. With our review software, you can choose which site(s) you want positive reviews on. We are connected to over 100+ review sites, including Google, Facebook, Home Advisor, Houzz, Amazon, Trip Advisor, YP.com, Zillow, Judy’s Book, Vitals, Health Grades and more. Reviewers will always be provided with the option to send a private message directly to the business. If a customer has a concern they would like to discuss with ownership or management, they can. Providing this convenient option allows customers to submit their feedback privately. Often a misunderstanding can be resolved if you open a channel of communication like this. Showcasing 5-star reviews on your website is a great tool to leverage. People trust and believe in online reviews, so you can showcase your company in a way that isn’t just you boasting about how great you are… Your customers do it for you! With a simple snippet of code, you can add reviews anywhere on your website! When you get positive reviews, it’s important to share them with the world! You can do just that with the Maxx Reviews auto-post system. Share your positive reviews on social media so people can hear from your happy customers and keep the positive vibes coming. We connect your social accounts, and the software does the rest! Get More 5-Star Reviews ASAP.